All your cords and cables. The year’s most hotly anticipated management and storage solutioN. for all your cords, cables, chargers and earbuds. NEW! 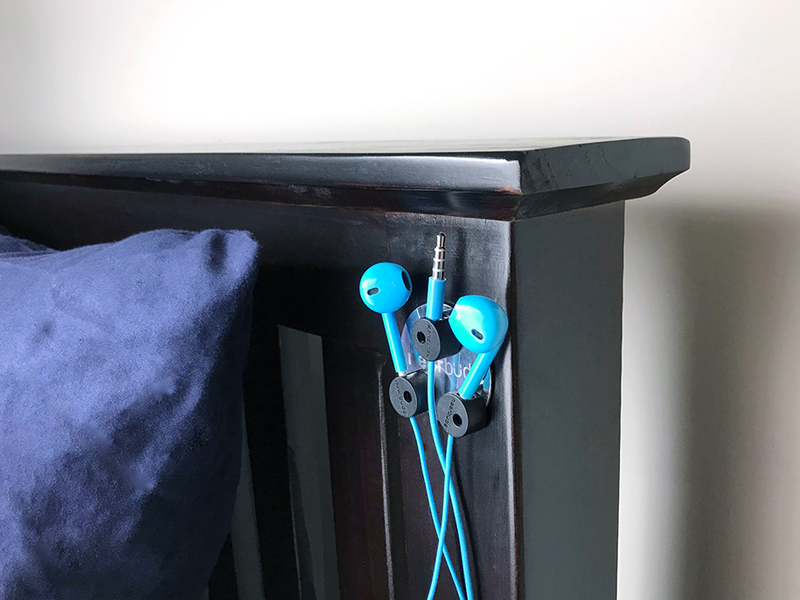 Universal Nearbuds™ are powerful magnetic storage clips designed to help neatly and conveniently organize, stash and store wires of all kinds, at home and on the go. 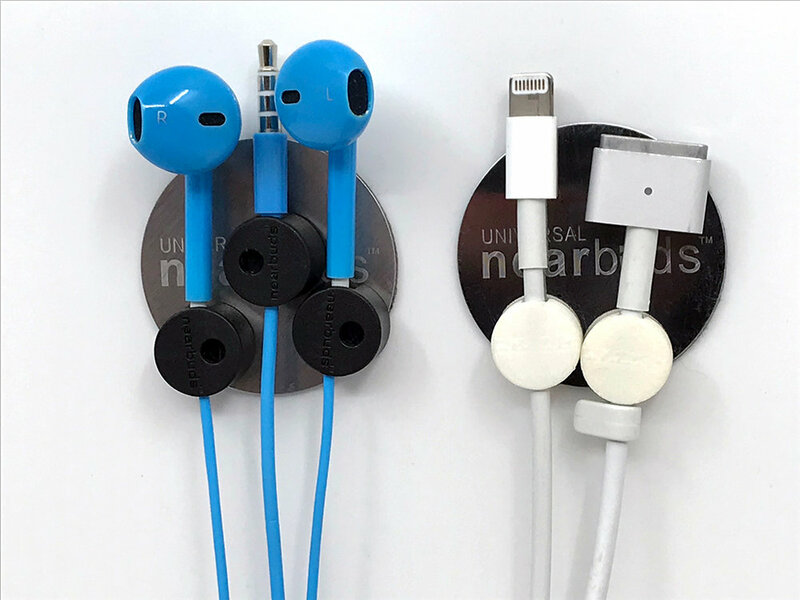 Available in six (6) colors and featuring powerful Neodymium rare-earth magnets, Universal Nearbuds™ clip onto earbud and charger wires, allowing for a multitude of functions to fit any lifestyle. Each package contains three magnetic clips, as well as a handy self-adhesive, magnet friendly nano-suction steel disc. Smart “Snap-On” technology ensures no glues are required in the manufacturing process, so the magnets will never come apart from their housings. Universal Nearbuds™ are 100% satisfaction-guaranteed. Choose from 6 colors: white, red, black, pink, gold or blue. 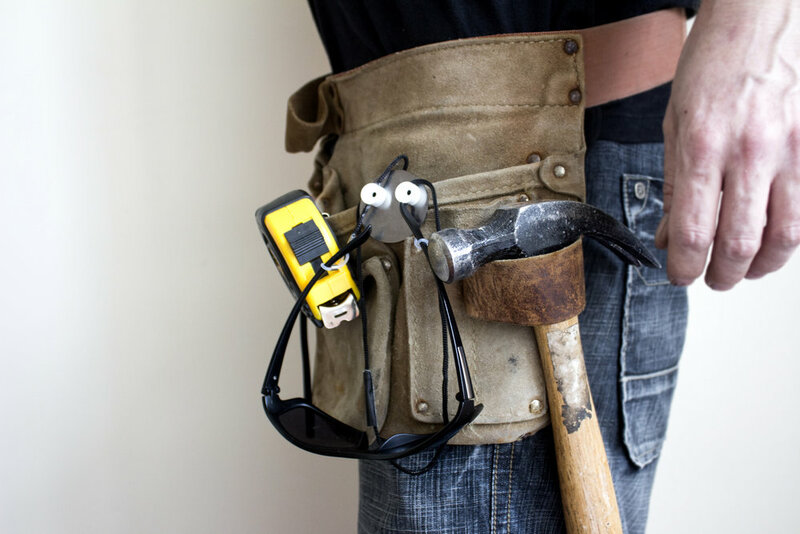 Each package comes with 3 removable Universal Nearbuds™ magnetic clips and a self-adhesive nanosuction steel fastening disc. 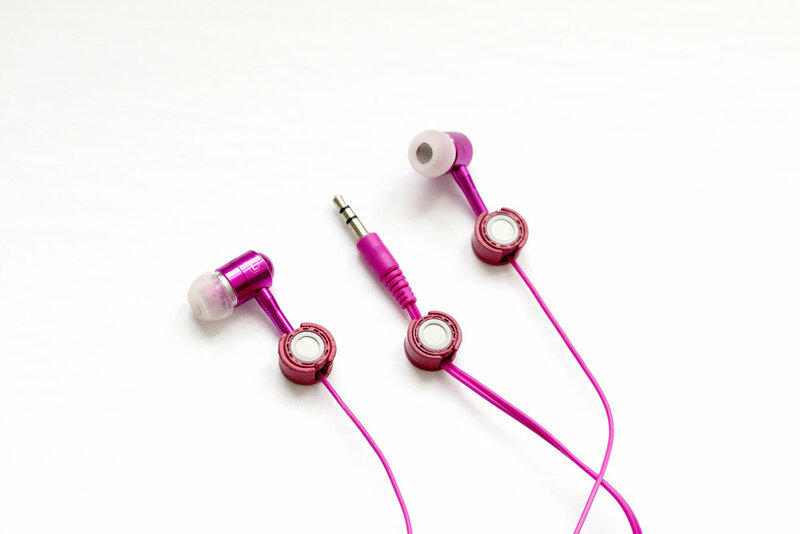 You can even bundle your order with a set of high-quality Bluetooth earphones (available in white or black) or wired earbuds (available in 10 colors of your choice)! Looking for Original Nearbuds™ for Apple® Earbuds™? If you still have the wired Apple® EarPods™ that came with your iPhone 5, 5C, 5S,6, 6+, iPod Nano (7th Gen.), iPod Touch (5th Gen. or newer), or Apple® EarPods™ Model # MD827ZM/A… well then, we still have Original Nearbuds™ made just for you! 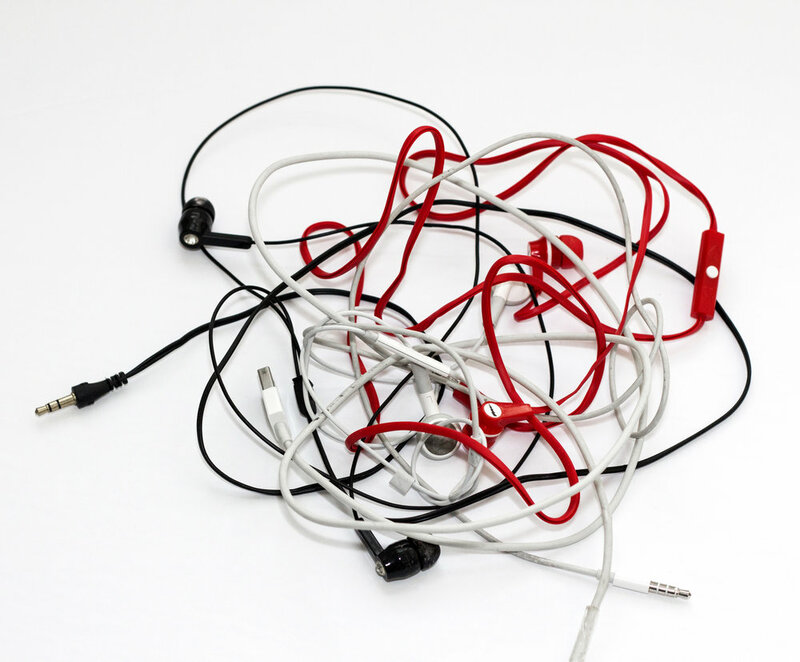 NO MORE lost and damaged earbuds or dangling piles of charger cords and cables! 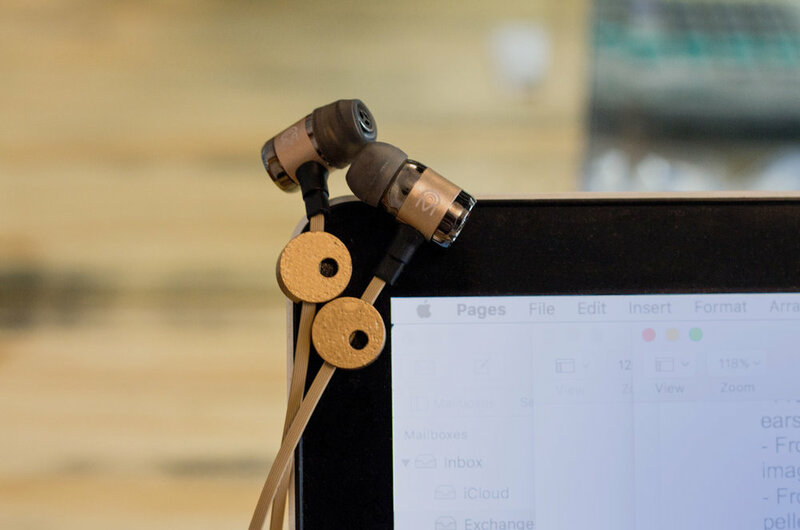 New Universal Nearbuds™ snap together, making it a breeze to clip and stow earbuds behind your neck or in a backpack or tote. 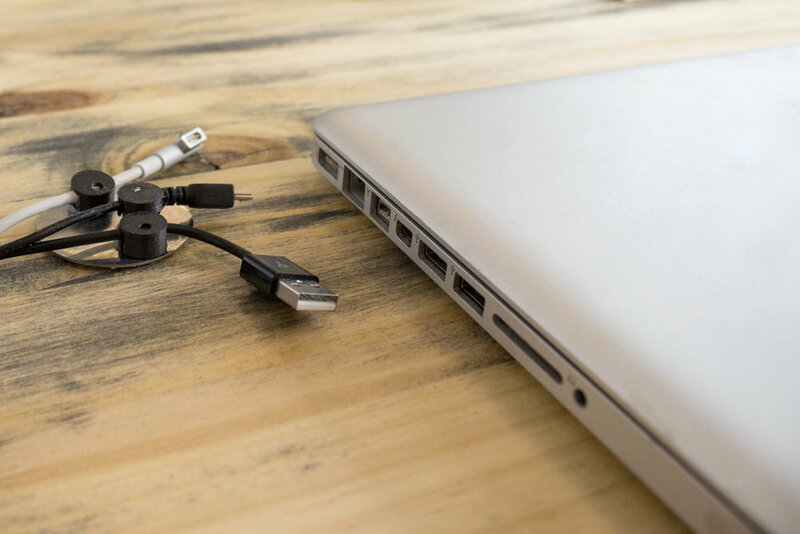 Better still, Universal Nearbuds™ adjust to fit different charger cable widths, so you can organize all your wires and chargers. 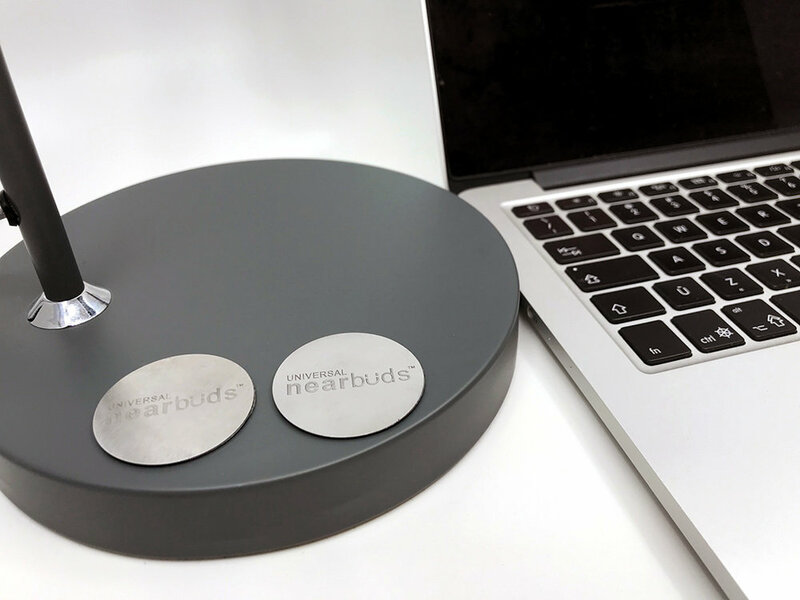 For easy storage, simply snap them to the self-adhesive nano-suction steel disc included in each package, or to any other magnet-friendly surface. 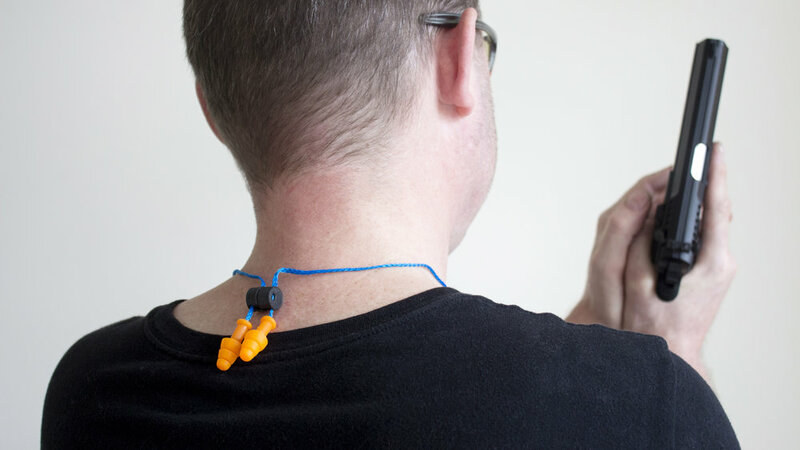 Universal Nearbuds are also a perfect complement to corded industrial earplugs, Bluetooth neck-style headphones and even sunglasses and eyeglasses cords! WATCH THE VIDEO TO SEE THEM IN ACTION! Get early access to sales and promotions, and always be the first to know about new inventions or product launches.